nytimes“When I was growing up, you could be a nurse, a missionary’s wife, a secretary, and then, oh, how exciting, you could be an air hostess,” Jane Goodall, 83, told the @nytimes reporter @melenar. “A lot of people said to me, don’t you want to be an air hostess?” She did not. Instead, she became Dr. Goodall, the famed primatologist and conservationist. A new documentary, “Jane,” details her early life and accomplishments. It’s based on more than 100 hours of footage, shot in the 1960s for @natgeo and hidden in its archives since. The cameraman was Hugo van Lawick, who arrived to document @janegoodallinst’s life among the chimpanzees in Gombe, #Tanzania, and left as her husband. 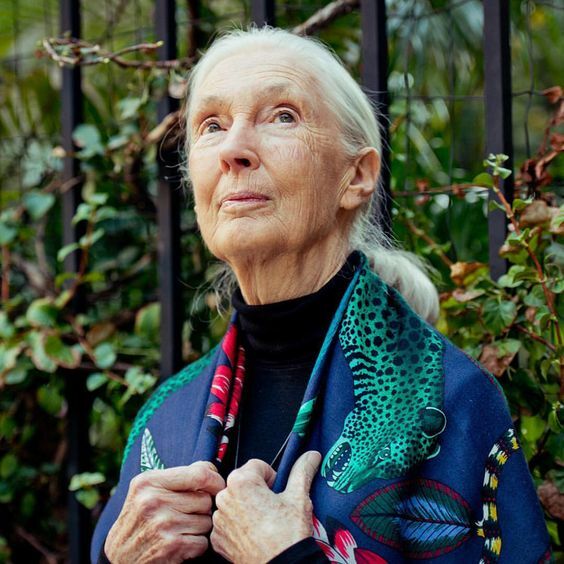 “I actually hadn’t imagined that there could be anything new out of all that footage,” @janegoodallinst told @nytimes. “So many documentaries have been made about me.” But when she saw this one, it took her right back to who she was. “I loved watching the growing closeness between me and Hugo at Gombe, and the happiness of our wedding and birth of our son,” she said. “And it was healing to suddenly realize, with hindsight, how the end of our marriage was, in a way, inevitable — and for the information we both could share with the world, very important.” @gabtook this portrait of #JaneGoodall while on #nytassignment. Visit the link in our profile to read more about the never-before-seen footage. Previous article Paul Klee, Under Grand Protection, 1939. Next article Licia Ronzulli, member of the European Parliament, with her daughter Vittoria.